Paradise On The Riviera !! Beautiful Apartment Next To The Beach! Apartment 3 bedrooms (1 suite with balcony), well furnished, 150 meters from the beach, terrace with barbecue. LCD TV 40 LCD TV in living room and 14 in the suite, full service beach with chairs and umbrella. Floor area of ​​95 meters, ice machine, wifi, gym, gourmet, swimming pool, sauna, playground, sports court, barbecue, 2 parking spaces. Kitchen with great closets, stove, refrigerator, microwave, dishwasher, bench support. Service area with washing machine. Air-conditioning and ceiling fans in all the apartment environments. 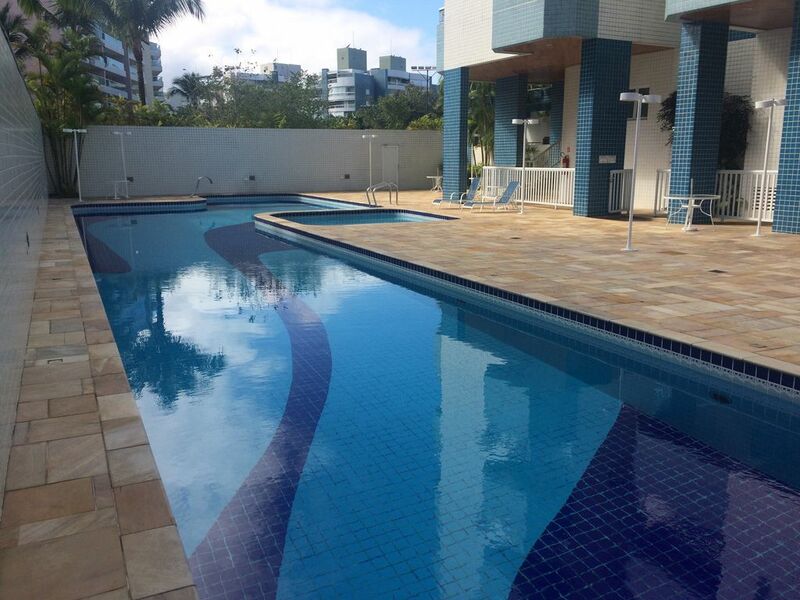 Apartment located 50 meters from the beach (with entrance to the beach in front of the building), access to a beautiful recreation area (gardens, tennis courts, soccer, playground, sand court, zen space) securely. The building is in Module 2 (the best of Riviera).